At least three protesters died Jan. 22 in Kiev, Ukraine’s capital and the site of anti-government protests since late November. According to news reports, the main demonstration in Kiev’s Independence Square — calling for closer ties to Europe, an end to government corruption and greater respect for human rights — has remained nonviolent. 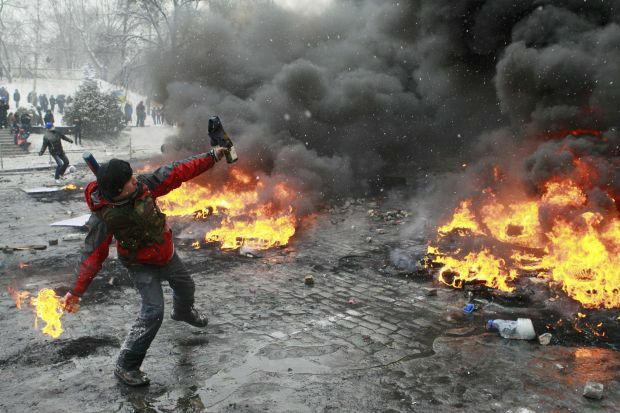 But small groups of other protesters have been throwing rocks and firebombs at police and have occupied several government buildings in Kiev and other cities. Archbishop Sviatoslav Shevchuk of Kiev-Halych, major archbishop of the Ukrainian Catholic Church, and the leaders of other churches and religious groups met embattled President Viktor Yanukovich Jan. 24 and offered to mediate in the name of peace.